Coal within 300-800 feet of the surface can be mined safer, faster, with less waste, and lower cost using surface mining methods. It’s just that simple. reduce underground mining. Coal companies utilize the roads, utilities, coal handling infrastructure, railways, and lower cost economics of surface mining to get to the more expensive underground coal. Additionally, the necessity to blend surface coal with underground coal allows electric utilities to create coal with specific qualities that produce more complete combustion with electricity generation. This reduces air pollutants and carbon dioxide emissions as power plant efficiency increases..
Mountaintop mining is the most efficient and environmentally responsible type of surface mining over the long term. “Contour mining,” more prominent in the ‘70’s and ‘80’s, takes place around a ridge top in which a two or three hundred foot strip of earth and rock are removed to expose the outer reaches of a coal seam. 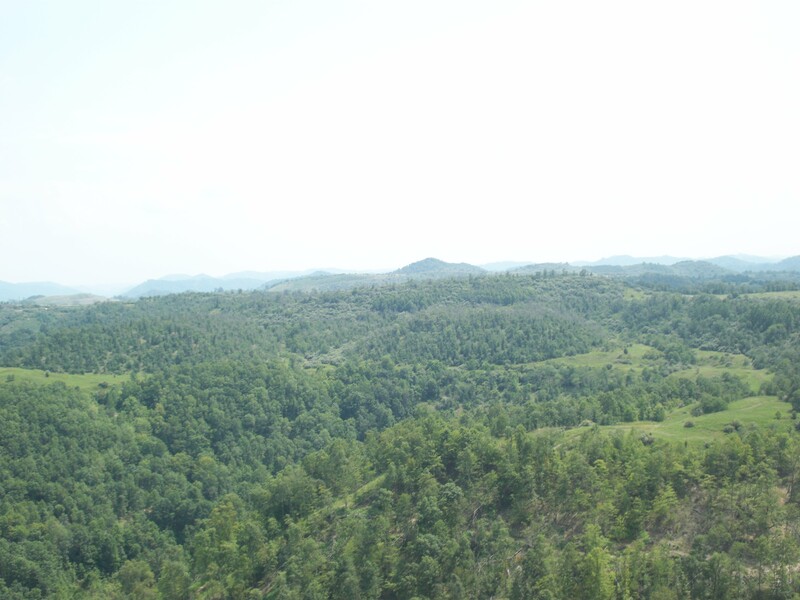 Contour mining leaves large blocks of coal in the ground under the ridge tops. This is inefficient and wasteful of coal resources. As equipment became larger and more powerful in the 1990’s, mountaintop mining enabled the industry to become more productive and efficient by removing all the coal available. The inefficiency of “contour mining” kept open the possibility of re-entering the environment later, perhaps a second or third time, damaging any restoration that had been completed. energy that our country desperately needs. The Mylan baseball and soccer parks, the FBI center, Pete Dye Golf Club, and Bridgeport shopping malls are examples in the Morgantown/Clarksburg corridors. These are beautifully restored areas that offer high economic and quality of life values. this mining is not demonized in the same manner as in southern West Virginia/ eastern Kentucky..
of our mountains? Absolutely not! The footprint is very small. That impression appears to be confirmed by information provided by the West Virginia Coal Association that says in 22 of the state’s 55 counties the acreage permitted for such mining is less that 1 percent; in four other counties, it is in the 1 to 3 percent range and there are three over that with Boone the largest at 5.5 percent. The 22 remaining counties have no permits for mountaintop mining. Furthermore, where restoration is 20 years or older, evidence of mining is virtually gone except to the trained expert eye. 21 million tons by surface mining. BooneCounty is 503 square miles of a state that has 24,181 square miles. The 5.5 percentage of permitted acreage has relatively little mining in progress compared to acres and acres of restored land. It is today one of our most beautiful and rugged areas. In no way has mountaintop mining destroyed this land. It is useful, dynamic, and resourceful and will be for years to come. Economically it has 102 mines, underground and surface. It has a population of 25,535, estimated direct wages of $258,449,000, and severance tax receipts of $4,559,930. Take away mountaintop mining and it will simply revert to another Appalachian tragedy as would all of southern West Virginia and eastern Kentucky. Anyone not spending considerable time around the mining areas would think the “greedy coal operators” are loping off all mountains and covering all fishing and navigable streams in the state. It is simply an inflammatory and distorted attack against the coal industry. Mountaintop mining is primarily a central Appalachian technique in southern West Virginia, eastern Kentucky, and western Virginia. Mountaintop mining is legally characterized as surface mining that flows continuously from one side of a mountain ridge to the other. It does not “remove” the mountain! It does not “flatten” the mountains! These are simply outrageous characterizations by anti-mining groups for sensationalizing their attacks on the coal industry. In fact, unless a permit variance is granted by regulators for higher and better post mining land use, the mined area must, by law, be restored to “approximate original contour” and revegetated. Recent law changes and new technology allow the planting of millions of hardwood seedlings on restored lands. Also, new permits allow mountaintop mines to correct old damage and mistakes of the past on mine lands. Mining coal utilizing surface methods is designed to maximize the economic extraction while minimizing the environmental effects to water resources, wildlife, insects and aquatic life, and overall scenic environment. The restoration develops beautifully over time. Unfortunately, most never get to view these areas as mining areas still under bond are off limits for public safety reasons. Only mining in progress is available to the public through pictures and other visual media by coal’s opponents. Additionally, many counties are petitioning for mined land to be left in level conditions more readily available for commercial post mine use. Large, prime building sites are very scarce in central Appalachian regions which make economic diversity all the more difficult.